Produced by frontman and songwriter James Allan along with Rick Costey (Fran Ferdinand, Interpol, Muse), the debut release from the group proclaimed by NME as "the greatest new rock and roll band in the world," offers a magical melodic rush to the ears of listeners in something close to auditory hypnosis that runs throughout the twelve track disc. From its deceptively gorgeous, hauntingly orchestral opener "Flowers & Football Tops" which was crafted in response by Allan following a fifteen year old's racially motivated murder in 2004 as a way to empathize with the incredible pain he witnessed on the victim's mother's face in a newspaper photograph-- the idea of musical poetry that expresses a humanistic desire flows throughout the album. Glasvegas follows up the beautiful first song with the album's debut single "Geraldine," that emphasizes "a person showing another person compassion," as Allan explains. In calling the work a "poem" in the vein of the types he wrote as a boy before he found himself fascinated by the records heard regularly in his mother's and sister's collection-- the dreamy old-fashioned blend of glittery modern UK compositions with American rockabilly and sun-drenched surf music, as well as the epic studio produced compilations from the '50s and '60s proves to be an infectious concoction that's hard to pin down throughout. 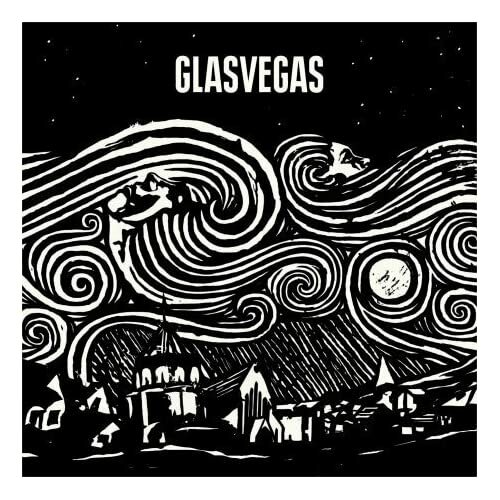 Likewise,the music of Glasvegas sounds unabashedly international-- contradictorily old and new at the same time. Having invented the band's name before he'd even written his first song in an attempt to evoke "the industrial working class grit of his native Glasgow and the... high rolling no-clocks no-windows 24-hour-party promise of Las Vegas," Allan continues in the official Columbia Records biography that he longed for the band's name "to be proud and unapologetic" since he felt "in the past, Scotland was quite good at putting itself down [and]... everybody sang with a vague American-ish accent." Although American music remains a definite influence given his older sister's devotion to everything from Madonna to Bob Marley and his mother's love of classic rock from the likes of The Righteous Brothers and Roy Orbison-- Allan began to envision the ways the poetry he started writing around the age of ten would go along with "the pop melodies he could hear in his head." Calling the moment he announced to his family that he liked playing his sister's guitar, his own "version of coming out of the closet," he and his cousin Rab became in his words "the Glaswegian Everly Brothers." Eventually adding in both schoolmate Paul Donoghue on bass and Caroline McKay on drums whose beauty they described as looking "like something out of a movie," soon with his older sister taking on the role of a producer, they released their do-it-yourself hit single "Go Square Go!" which was followed up by "Daddy's Gone," both of which were re-recorded and included on this new release. Having managed to score a gig at the renowned Glasgow King Tut's Wah Wah Hut (which helped launch "Oasis, Radiohead, Beck, Travis, and others"), the group ,who soon began to sense the energy and excitement as they gained momentum, recognition, awards, along with a growing following among fans and critics alike scored lofty praise from the BBC who described the group as follows: "Glasvegas draw on rockabilly and pop from the 1950s and '60s, using a backdrop of brooding guitars to create their own wall of sound, a bit like the Jesus and Mary Chain playing the 'Grease' soundtrack." While their music defies labels moving from descriptions that involve the assertion that Glasvegas boasts a "tsunami of guitar noise, which clearly traces to Phil Spector," or as Allan phrased it in Spin Magazine, a "crescendo of demise," in one of the records' standout tracks "It's My Own Cheating Heart That Makes Me Cry," and comparisons to "sixties girl groups and the Velvet Underground's rain-dance pulse," by Rolling Stone-- the only thing I can say after weeks upon weeks of leaving it playing on repeat in my car stereo is buy it, live it, and decide for yourself. In the sweeping and grandiose arrangement heard in the heartrending "Cheating Heart" that moves up and down the musical scale in a way that defies one not to move or sing along, the band switches gears once again in the rebel-rousing "Go Square Go," which turns the f-word--when sung in Allan's adorable accent-- into a sweet nothing. Moving eventually to the very '60s retro "la la la la" stylings of "Daddy's Gone," to the bizarre spoken-word "Stabbed" that stops the mini-symphony dead in its tracks, their self-titled debut album is on the short-list as being not only my favorite record of 2009 but one of the best CDs I've listened to in recent memory. Currently in the midst of a tour and routinely selling out in major markets like New York and Los Angeles following a successful performance on Late Night With David Letterman that helped introduce the Scottish group to American listeners-- while this is the first thing we've heard from this musically ambitious band, something tells me it definitely won't be the last. Moreover, their unique sound seems to argue that they'll have a staying power that continues much longer than the "UK flavor of the Month Bands" that have flown far above and then unspeakably below the radar in recent memory. In other words or as they most appropriately sing-- when it comes to Glasvegas-- "here we, here we, here we, here we f***ing go" indeed.